Are you tired of trying out different hairdressers in Singapore, but still can’t quite find the right fit yet? It’s often a struggle because each visit is really about taking a chance on someone to treat your precious locks well. And that can be a huge risk! If you have a range in mind, say $50 – $75 for the haircut, that would help you to filter out the salons within your budget. Factor in more if you are looking to do a perm, straightening, or other process. Check out a range of salons to see how much they charge and then figure out what you’re willing to spend. Sometimes, it may make more sense to spend more upfront than to be a little cheap – this compromise pays off occasionally, but more often than not, it doesn’t – and then one has to spend more in the end fixing it anyway. You can also do the sums in this way: if a perm lasts you 3-6 months, the amount of money you’re spending can be split into a monthly cost as well. E.g 300 / 6 months = $50 a month. Set aside that much each month for your next visit. You can also ask your stylist, what can be achieved within $X budget? Can your look be done with this amount of money? A professional stylist will be able to work with you to discuss what is or isn’t possible. Are they comfortable with coming up with new looks? How do they challenge themselves creatively? What are some of the trainings they’ve done? Also ask how they do their coloring and chemical processes – let them explain to you why they may charge a little more, and what sets them apart from other salons. Another way is to take a look around and notice if they take part in competitions or style for magazines and other media outlets – these are usually signs that your stylist pushes themselves creatively. Any professional hairstylist will be happy to answer your questions or to show you pictures to illustrate their ideas. At Hairloom, all stylists take part in yearly competitions and frequently style for magazine and tv productions as well! We’ll be more than happy to talk about it if you ask. This may sound like a fluffy piece of advice, but what it really means is that you should trust how you feel with a certain stylist. Do they make you feel comfortable? Are they really listening when you talk? Do they welcome you each time you come back? First impressions matter too. Look at their personal grooming and style – notice if they seem to pay attention to detail or not. Often, that is a sign of how they may pay attention to their work as well. Being well groomed as a stylist is a sign of professional pride. Like any other relationship, how you feel matters. If something just seems off, or you aren’t quite comfortable yet, it may be worth holding off on the next visit until you find someone who does give you a sense of ease. In the end, it’s about getting the most value out of your time and money, and that could take some trial and error! We understand how important it is for our customers to feel comfortable, and we definitely don’t take for granted the trust that is placed in us each time a customer walks through our doors. We work with each and every customer to customize a look that fits their lifestyle, personality and needs. And we’re friendly too! 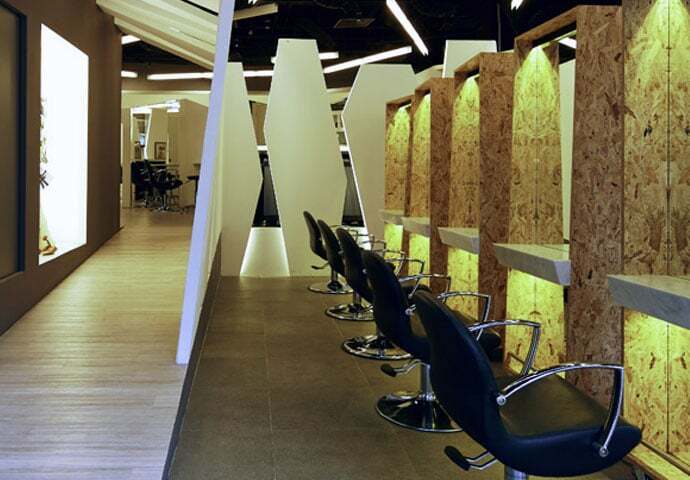 If you’re in the middle of hunting for a great hairdresser in Singapore, come by for a free consultation. We’ll be more than happy to answer any questions you may have.